Enjoy lots of motoring fun with this large roadway set from Plan Toys. 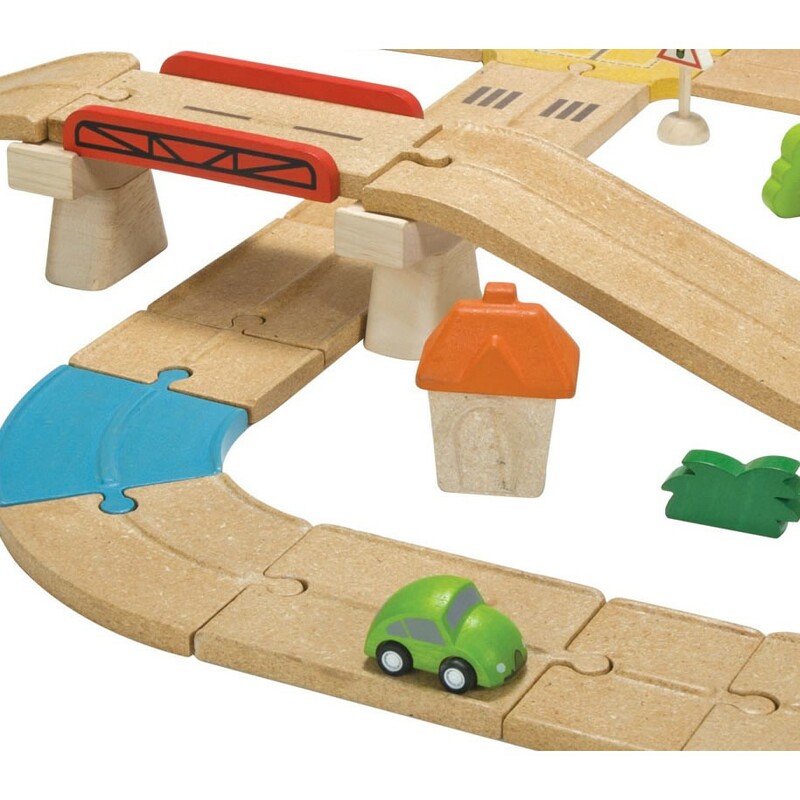 42 pieces including road, cars, a bridge, little houses, bushes and road signs. Plan road pieces can also be used as railway track, simply flip the road over and on the other side is a double rail track. 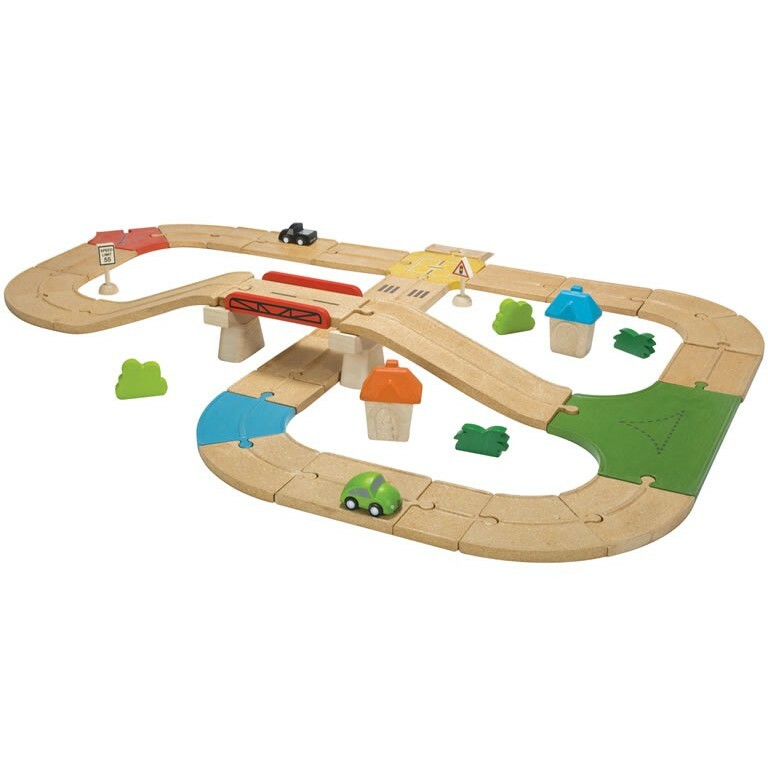 Included in this set are two extension pieces allowing you to add further train or road sets. Building a massive road and railway is so much fun!